This is honestly without a doubt the most amazing thing I have ever listened to in my life! I have never been so amazed, thrilled and emotional about a book. The ending has me questioning my whole existence. This has me thinking about life, space and time in a completely different dimension and I’m just a dumb tractor driver lol Absolute respect to the author! I just have to say again I can not rate this book highly enough. Absolutely frothing over the experience. Please make more!!! The story has good meat on it's bones, however a large part of it is simply not up to what it needs to be. our protagonist and love interest a frustratingly on sympathetic, and while it does do a good bait and switch with that, I don't feel that it was quite enough. you're not going to find anything new or particularly groundbreaking in the story. But for what it's worth I kept reading it after putting it down several times. I figured out the core plot and where the hero stuffed up when it happened, so there was no surprise in the end. Just a little to predictable. I'd be interested in seeing how he gets to the next stage or step. This book was phenomenal. The ending of this story gave me goosebumps, and it's been a long time since I've read a book with that effect. Mr Robinson has an amazing ability to draw me into the worlds he creates . And the cool thing is that I can see the twist coming but somehow he convinced me that I am imagining it!! So he still manages to surprise me . Great book -well worth downloading. Started off slow. but give it a chance. gets better. ending was worth it. fun concepts. great performance. Its a TEN from me. What a great book! i cant believe so much adventure was even able to be captured in one book. Fantastic job by all involved. I had been stuck trying to find a new book that I wanted to listen to. 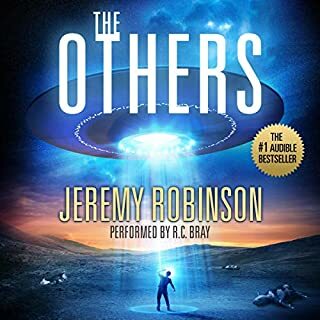 I had never heard of Jeremy Robinson and this book sounded interesting and you know you're going to get top quality narration from the king in R.C. Bray. This was a decent story and I listened to over 8 hours in one sitting the day I got it as it was an easy listen. Easy to follow and interesting story combined with Bray means you aren't going to struggle through it. The ending seems to be hit or miss reading other's reviews and I have to agree it could have been better but you can't please everyone. Does that make this a bad book? No. Not by any means. I will try another book from Jeremy. 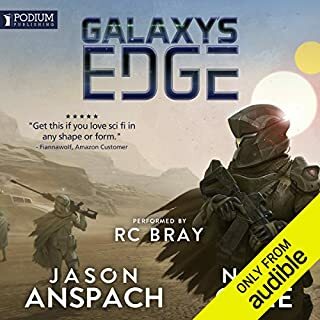 3.5 out of 5 as Audible won't let us use half stars for some reason. 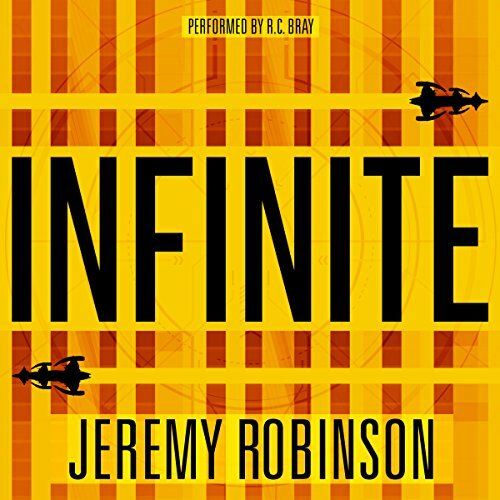 “Infinite” is a well-crafted, complex, romantic, science fiction story that is so much more than what it seems at first glance. 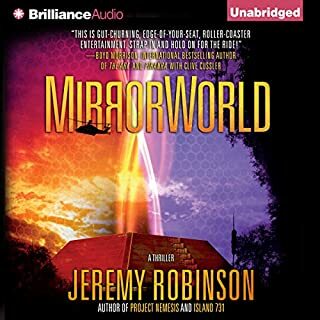 It is written by Jeremy Robinson, who at the time of this review has nearly fifty books available on Audible. 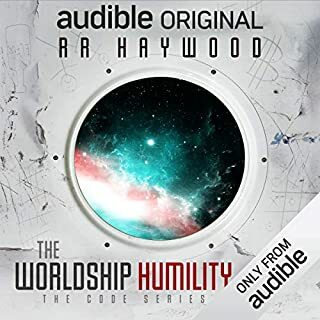 The audiobook edition is exceptionally well narrated by none other than R. C. Bray. Mr. Bray is ranked as one of the best narrators and he has a few quite popular titles under his belt; including “The Martian” by Andy Wier. I mention this because the book, for me, felt, like a bit like “The Martian”, along with parts from the movie “Inception” and sprinkle in a few ideas from the movie “The 13th Floor”. 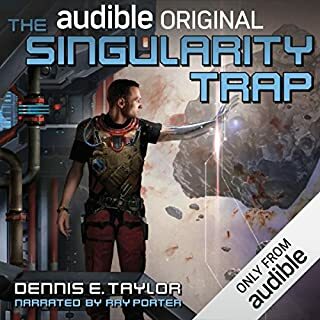 If you enjoy science fiction books that have a fair amount of action, mystery, artificial intelligence, along with time and space dilemmas, I recommend you pick up this book and give it a listen. I will admit that the book was a bit confusing at the start. You are dropped into a rather complicated and confusing scene with no real background allowing you to digest it. A few chapters into the book, it opens up like a budding flower and you are able to see all the beauty of the story holds within. There were a few additional bumps along the way where I thought I had missed something, but the author was able to get me back on track rather quickly. Often this seemed like a writing technique the author implemented on purpose giving the listener a more unsettled feeling. As stated earlier, the book had a feel of “The Martian” on a spaceship instead of taking place on Mars. That simplifies the story and background, but knowing this you will have a better idea of what you are in for when you listen. Like with that story, there were plenty of times the main character narrowly escapes death, has to perform undesirable tasks, and often just wants to survive this long and lonely trip in one piece. What I liked was the author’s ability to blend many different genres without focusing too much on one. Don’t get me wrong, this is a piece of science fiction, however, is also includes aspects of mystery, intrigue, romance, and endurance. At times the book feels weighty and even a bit gloomy based on its backstory details, but the author is able to throw in pieces of humor so the story does not feel too overwhelming. 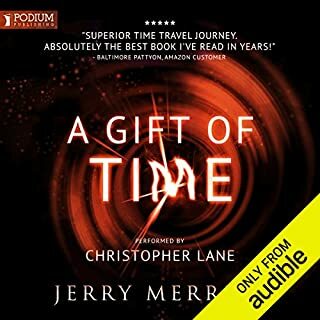 There was a fair amount of physics and space/time travel discussion I the book, but one does not need to be a rocket scientist to understand it; but if you are, you may enjoy it even more. The author provides you with all the necessary concepts along the way so anyone understand it. Things like the difference in time for someone on earth compared to time observed by a person in a ship traveling faster than the speed of light (FTL). I felt the research as solid, believable and informative. I enjoyed how the story unfolded and provided hints or clues on why such a tragedy occurred during the opening scene. 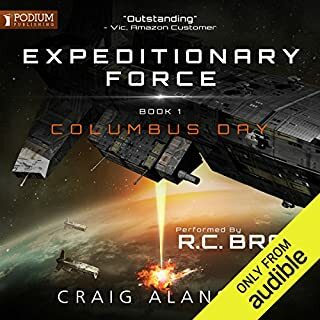 The narration of the book by R. C. Bray was what I would have expected from a veteran in his trade. 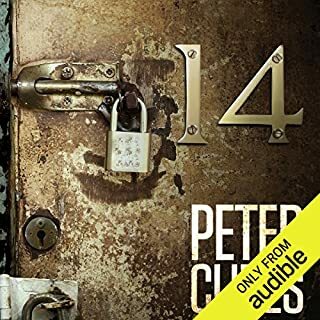 The book was professionally voiced across the many different characters and I do not remember any audio artifacts while listening; swallowing, page turns, etc. The audio volume was consistent throughout the book. I have never been disappointed by any narration done by Mr. Bray. For parents and young readers, this book does at times have a fair amount of vulgar language. There are also some quite graphic and violent scenes which may not be appropriate for younger readers. The book has some storyline focused on romance; but nothing I can recall that was overly explicit or sexual. There are a few scenes containing anti-religious pokes, but again, I do not feel the author was using this to get across some hidden agenda. 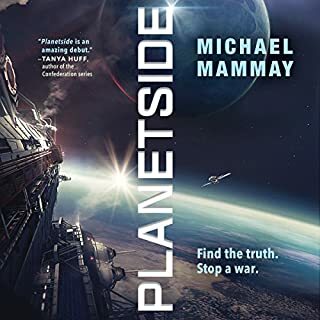 To summarize, I would recommend this book to anyone who enjoys a rather complex science fiction story involving artificial intelligence and time/space. However, being in space is only one small part of the overarching message that I think others will enjoy. 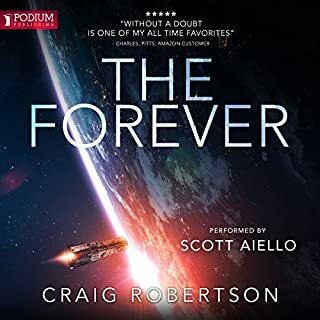 There is quite a bit that will appeal to lovers of SciFi, but I would recommend it also to those who aren’t into science fiction but enjoy being challenged by a well-written story. If you feel lost at the start, that is not a bad thing. Stick with the book and buckle up as you will enjoy the flight. Not perfect but pretty dang good. I was hooked and binge listened until it was over. Lol. I like stories that touch on how people act when they’re stranded by themselves and often wonder how I’d react in similar situations. This book took a unique path, as our protagonist had some unique circumstances and I think I might have taken a similar path in the same situation. Hard to say, but it was quite entertaining to read about Will’s adventure. The guy reading it did a fantastic job. The story has a great start, but gets lost during the infinite space of time. R.C. Bray is as usual, superb in his delivery. In the last few hours of the listen, the story just came apart for me. I surmised the ending about about three hours from the finish, and those last three hours were not crafted well enough to keep my interest. Disappointed. This book came to my attention through the narrator’s Facebook page, R.C. Bray. Needless to say, I had to listen to it for the sheer fact that he was selected as the book’s narrator. This book left me with several moments of questioning my own reality, reflecting on my own thoughts surrounding the very nature of our existence, and wondering about how we define our own reality. 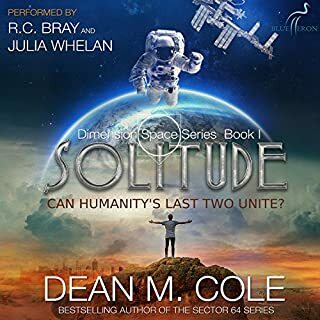 What started out as a space-based post-apocalyptic story quickly delved into areas that have fascinated me for quite some time, immortality and simulation theory. Mr. Robinson wrote a book that dragged me in and kept me hooked throughout the duration of the story. I was immediately drawn to Will and his plights as he struggled with what to do given his new-found situation. I mean, what does a person do when they find out they are unable to die through traditional means? We quickly watched Will develop throughout the story, along with GAL, as Doubty McKnowitall/FB was thrust into some very unique situations. I will say that I had the ending figured out about an hour prior to it arriving, but that still did not detract from any of the story/encounters. The plot was very well developed and the characters were relatable. I even found myself emotional at various points such as when the situation with Will’s brother (Steven) came up along with Will’s revelation later in the story. The real impact of the story hit me around chapter 35 and highlights the nature of the title for my review. Again, the primary theory discussed in this book is one that has fascinated me all of my life. R.C. Bray, per the norm, did a wonderful job with the narration. I could not imagine a better selection for this story. This is an easy 5/5 book and one I am trying to get my wife to listen to. Give this one a listen, you will not be disappointed. Suprised this book isn’t more popular! I just listened to this book in one sitting. As I finish it feels like I’m coming out of a trance back to reality. This book had me completely engrossed from start to finish, which is pretty rare for me these days. I’d highly recommend this book to anyone who enjoys science fiction, horror, and thrillers and the books description details. I did find it to be predictable at times but that didn’t stop me from enjoying it. 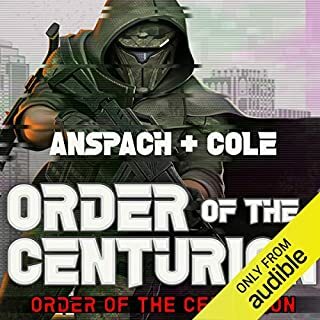 The narrator does a great job and makes this pleasant to listen to. Honestly I thought the story was mediocre and the characters lacked depth. The book spent a lot of time explaining future technology and the love plot was a bit of a male teenage fantasy. I still finished it, though so there’s something to the premise. Wild ride start to finish! The premise of the book was intriguing, but truth be told having RC Bray as the narrator convinced me to purchase this book instantly. I am very glad I did. The author has created an action packed story that had me on the edge of my seat the entire time. I highly recommend this book. No spoilers here... but when it ended I wish I had a sequel to jump straight into. I haven't read any other reviews of this book. As I mentioned I bought it because of the narrator. For me this is an excellent story well worth the time and credit. There will always be someone who poo poo's a story for some reason. If there is one for this story they should be ignored. If you are still unconvinced... get it just to listen to RC Bray. 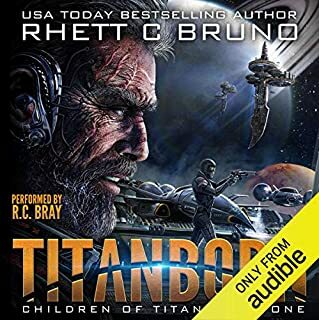 This is the first audio book that I really didn't enjoy much. 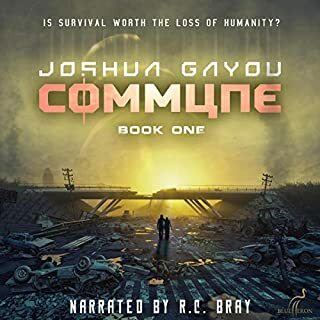 I want to say that RC Bray did a great job on narration. No complaints on that whatsoever. I just didn't really like the story. The author seemed to have some bet to hit as many sci fi memes as he could and wanted to run through them all. I understand that people in stories have life altering events happen to them and an author cannot spend a bunch of time really dealing with the time it takes to deal with them, however the characters brush off mind bending issue as if they were the everyday. Some of the topics just thrown against this book: Long life, colony ship, artificial intelligence (friendly/unfriendly), Long time spans (time dilation), nature of reality/solipsism, legacy generations, hackers, virtual reality, environmental disaster/end of world, human/robot love, rejuvenation, warped evolution, tragic loss (family/crew), and probably others ive missed. Its just too much and seems more interested in hoping from meme to meme than building a real story. It also pulls me out of the story thinking of how much of the reality of living is just shrugged off by the book. Preservation of matter (need to eat), need to shower and just basic bodily maintenance, material break down, sleep, and shrugging off things like time itself. There were took many memes just thrown out by this is a race to go essentially nowhere. I would not. Great imagination. Not a lot of science at play. Did Infinite inspire you to do anything? Good imagination. I listened to the whole thing even though at times I wanted to stop. Its like there was no solid backbone. I wasnt sure I would like it but I ended up loving it. highly recommended. 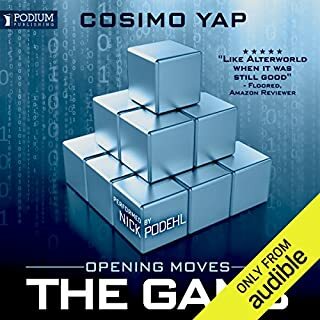 the first three quarters of this book is very good then it seems to lose its way a little, still a good listen though. cracking performance as usual from Mr bray, story is a bit sloppy and sentimental. I think the author was trying for Greg Egan but ended up with a more Uwe Boll story. I was genuinely quite excited to read this as the opening premise of a disaster befalling a generation ship leaving a sole survivor sounds really interesting. Boy was I disappointed. The first bad sign is that the back-story doesn't make any logical sense, and as more is revealed the less sense it makes. Then the author takes you through a plot with several large 'twists' but these are executed clumsily with no foreshadowing or dramatic buildup, so while they are a surprise they also lack any impact. The fact that these twists are often completely unbelievable doesn't help. The main character is ok, he feels like a cross between the protagonists of Ready Player One and We are Legion (We are Bob), but he does do some pretty inexplicable things that aren't well explained and there is some really ham-fisted character building later on. As science-fiction it's pretty terrible. I can live with magical technology but the universe is not internally consistent the and the author has a tendency to just invent and introduce some new piece of magic just when he needs it so it's full of 'deus ex machina'. Overall the book feels like a low-budget Hollywood action film. There isn't any substance here and even the action manages to be dull. R. C. Bray is great as always. started well, very well read, turned a bit clunky but maybe acceptable, and then fell flat on its face. Snatches defeat from the jaws of victory. An incredible story spanning time and space! Although slightly predictable in some places it doesn’t take away from the fresh plot and fantastic voice acting. I didn’t want it to end! Loved this story and didn't see the ending coming. Well read and escapism at its best. It's not going to win any literary awards and... yes... there's holes in the story, but WOW! If you can imagine riding an insanely mad roller-coaster for 10 hours then you've got to listen to this. For sheer mind-bending, rip-roaring si-fi entertainment and narration from the amazing R.C.Bray this is must! Great original story. Narration was a bit monotone but was ok with the different characters. 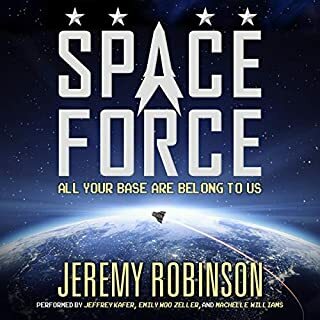 Jeremy Robinson creates an amazing story of struggle, romance, success and loss and builds a perfect world, in which you can get enveloped in, leaving you asking yourself some of the same questions. 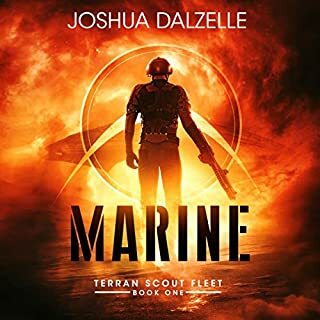 At first after reading one of the other reviews of this book I was agreeing with the reader, but as you go through the book and embrace the "unbelievable"elements this turns into a multi layered science fiction with twists and turns until the very last word. 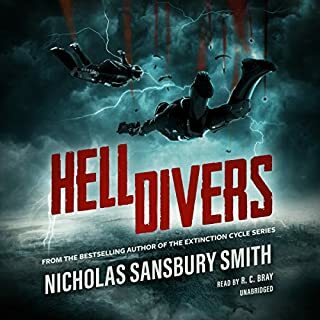 The book as usual is the 5 star rating thanks to RC Bray's brilliant narration.